Summer is most definitely my favorite season, but fall comes in a close second. Especially for sessions. It's not only one of the most beautiful times of the year - especially in Bloomington - but there are so many different options to have for these sessions. One of my favorite sessions I have ever shot was in the fall and I could not be more happy with the results. Baileigh had won a session from me and she needed some senior photographs. This was perfect. We decided to go to a few different places, Mill Race Park in Columbus and then to Apple Works in Trafalgar. She worked it! 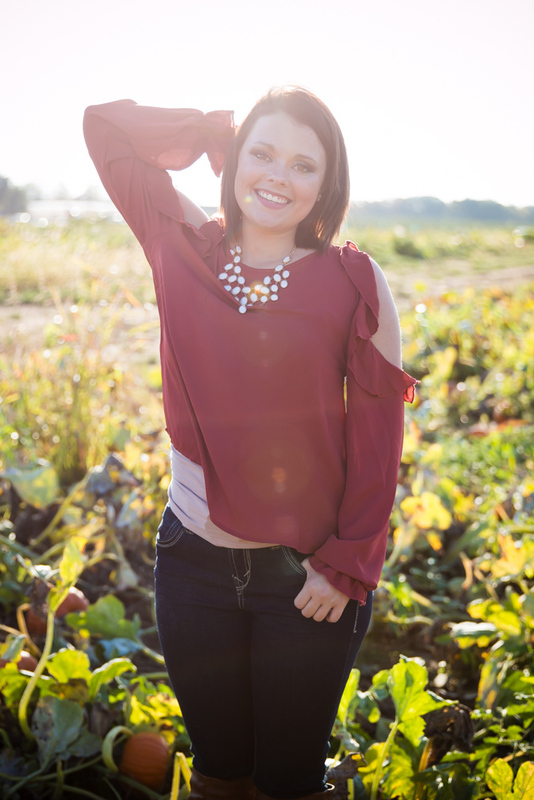 I love to have fall sessions because it has started to finally cool down enough where layers don't suffocate you from the heat. I love being able to layer some clothes or even just have long sleeves for photos but the heat typically gets to you in the summer. Layering adds more to your photographs and fall is the perfect time to do those. Another reason to love fall sessions is the props. 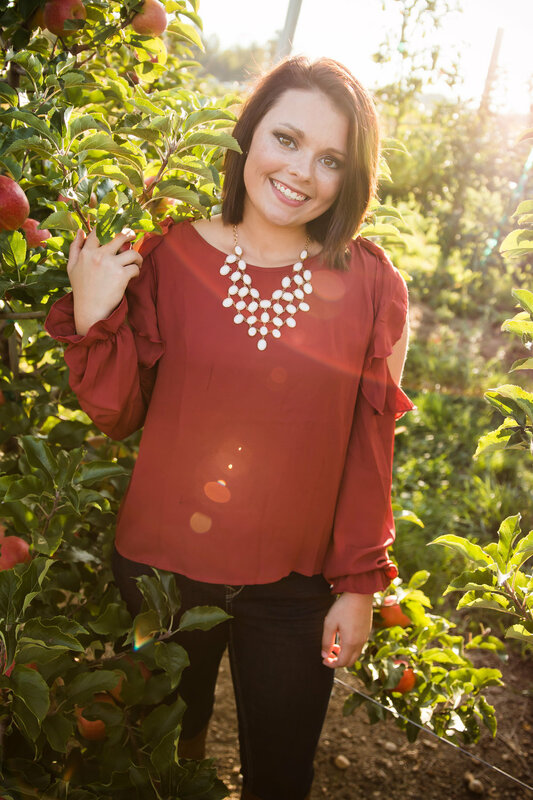 As you can see from Baileigh's session above, we used the pumpkins, sunflowers, and apples as props in her photos. The theme is clear and it helps to add variety to her photographs. The backgrounds are another reason. Go onto Indiana University's campus in the fall and I don't really need to elaborate anymore. It's like fall wonderland. I am pretty excited to use this area soon! Fall is great for sessions and can make great photographs. You should consider the fall for your sessions. 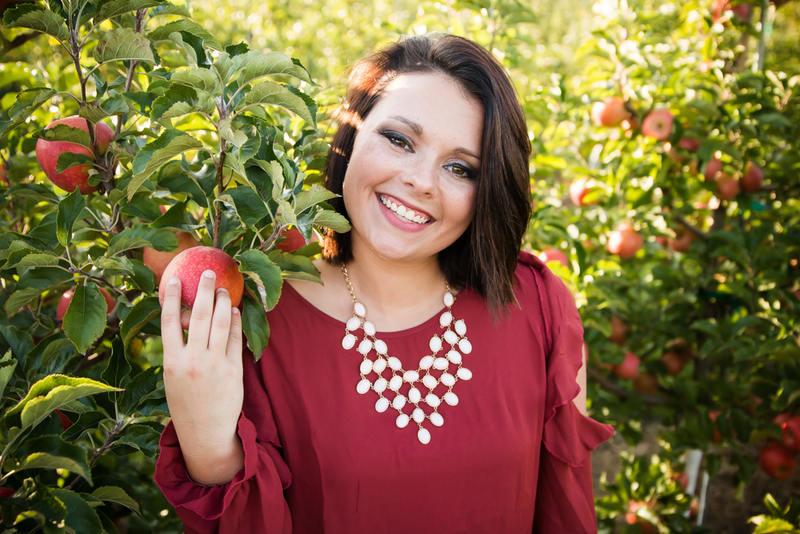 This was my first time doing a session with someone on the east side of the state and I am so glad we decided to do the session at Mill Race Park and Apple Works. 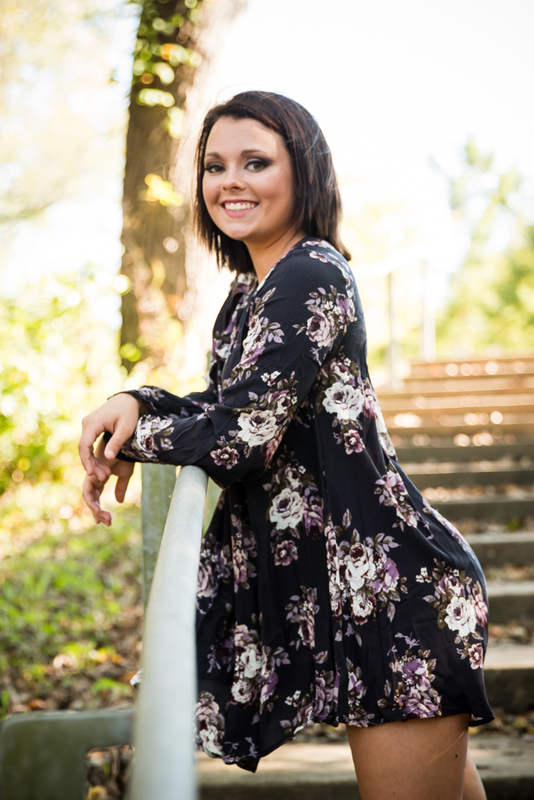 Baileigh is a senior at Edinburgh High School and is a dancer and a cheerleader. She was so fun to work with and I am so happy I was able to take these photos for her! Check out some of my favorite photos from the session.